Some of the most beautiful sailing waters in the world, idealic beaches and picturesque views set St. Vincent and the Grenadines apart from many other destinations. A splendid combination of sun, sand, sea and adventure makes St. Vincent and the Grenadines the Caribbean you are looking for. 1. The Tobago Cays Marine Park, The Grenadines: this is one of the most beautiful places you will ever witness with your own eyes. In fact, it looks too good to be true. You would feel as if you are in a virtual reality or another world as the clouds, the turquoise water and the chain of islands combine to create an experience of awe. Many people believe photos from this place are filtered until they visit and experience it for themselves. 2. Montreal Gardens, St. Vincent: located in the lush mountainous Marriaqua Valley on mainland St. Vincent is this ‘Garden of Eden’ which will take your breath away, whether or not you are a nature lover. The privately owned garden is a must visit and will cost you $5 USD to get in. If you want to detox your mind, tell your tour guide to take you there. You won’t regret it. 3. La Soufriere Volcano: this is one of the most adventurous hikes you might ever experience in your life and at the end of it, the climb would be worth it. But if you think climbing the 4,048 ft. mountain is where the adventure stops, try climbing down into the crater or swimming in the lake of the older of the two craters. If you don’t have locals as friends to take you there on the 3-4 hour hike, a tour guide can, but the tour guide price will be contingent upon which end you decide to climb from (Windward – shorter, or Leeward – longer) and which tour operator you take. Make sure you take an SVG Tourism Authority approved tour operator. 4. Canouan: whether or not you are rich and famous, Canouan has something for you. A key interest, however, might be the recently opened Glossy Bay Marina said to be the most beautiful in the Caribbean. In the north of Canouan lies an exclusive resort Club which has some of the most beautiful ocean views you will ever see. 5. Salt Whistle Bay, Mayreau: this beach is beautiful! One of the most thrilling experiences you would ever have is waking up to sunrise on a yacht docked at Salt Whistle Bay. 6. 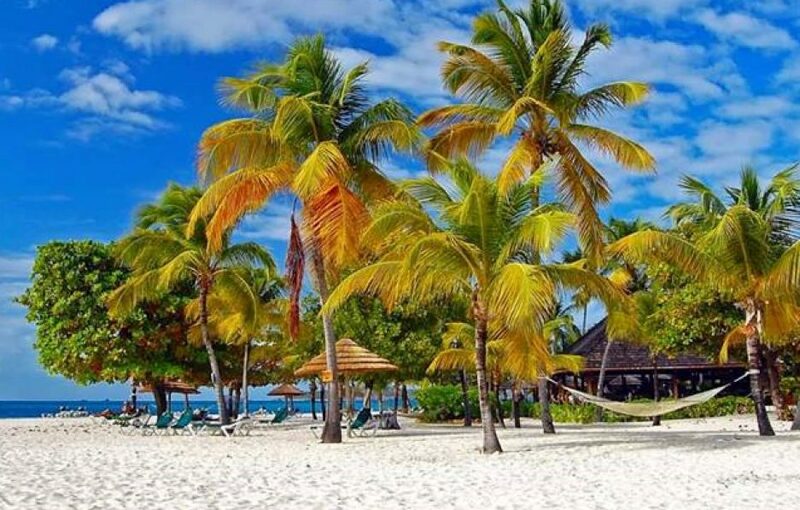 Bequia, Union Island, Petit St. Vincent, Mustique and Palm Island: Apart from the exclusive resorts, these islands have some of the most beautiful beaches you can ever imagine. Added to that is the feeling of relaxation, warmth and calm that you get when visiting these Islands. It might be a hard choice selecting a favourite. 7. Fort Duvernette: Some of the best views on the southern part of mainland St. Vincent are found here. The fort can be accessed by boat. It is a perfect boat tour, hike and picnic in one trip. A water Taxi can be taken at Young Island dock at Villa, to get to and from the Fort at 5 USD per person. 8. Dark View Falls: you get to cross a bamboo bridge and you have two falls in one from which to choose. There is also a beautiful picnic area, change rooms and a kiosk. 5 USD should be enough to get you in. There are many other amazing places to visit in St. Vincent and the Grenadines, but these eight are ones you should definitely put on your bucket list.